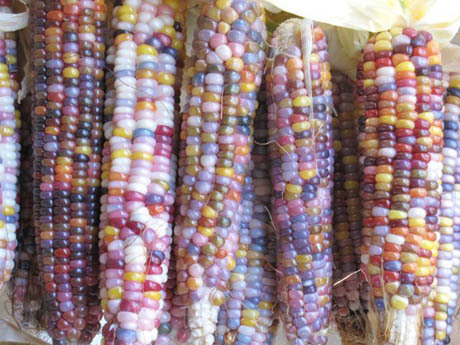 Rainbow Corn on the Cob! Well thanks to my alert friend, Keiko Meowkami – I know what table corn I’ll be growing next year. Can’t this year – because they sold out already – so I’m on board for next year’s seeds. It’s called “Glass Gem” and will be available from a little place called Seed Trust.